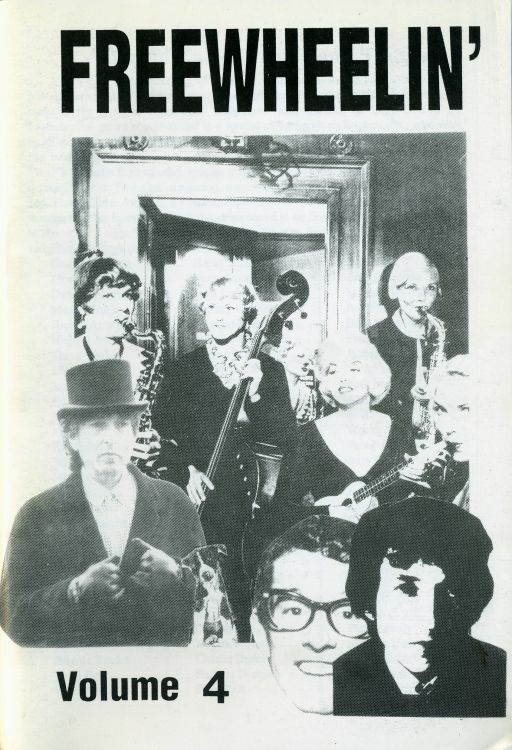 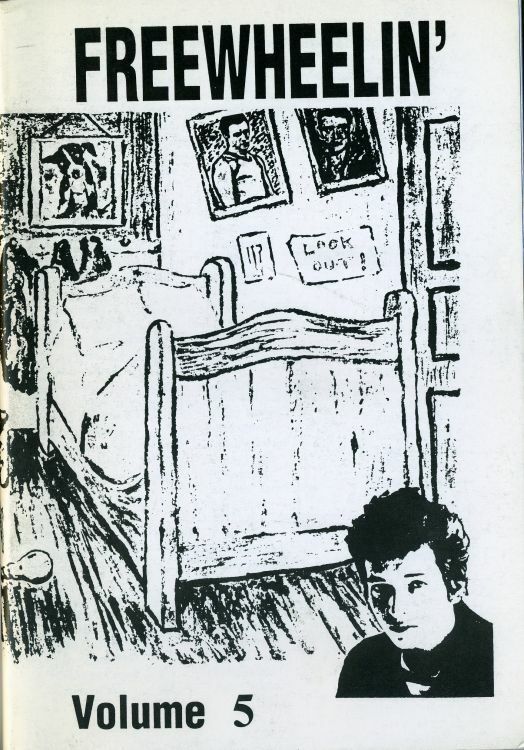 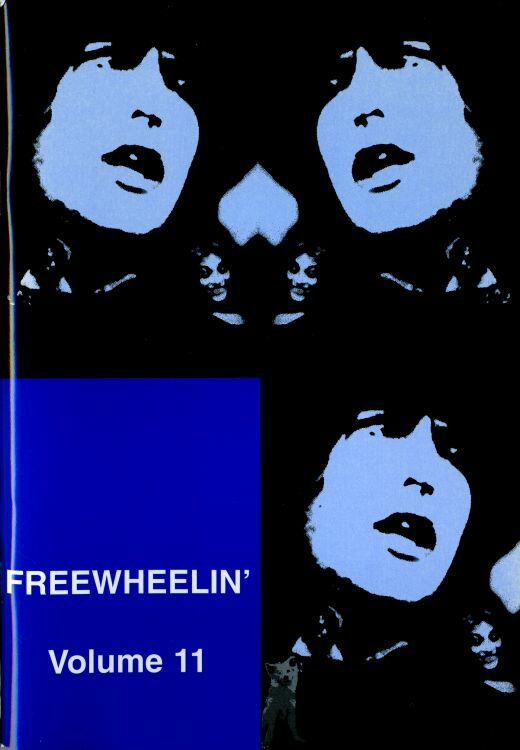 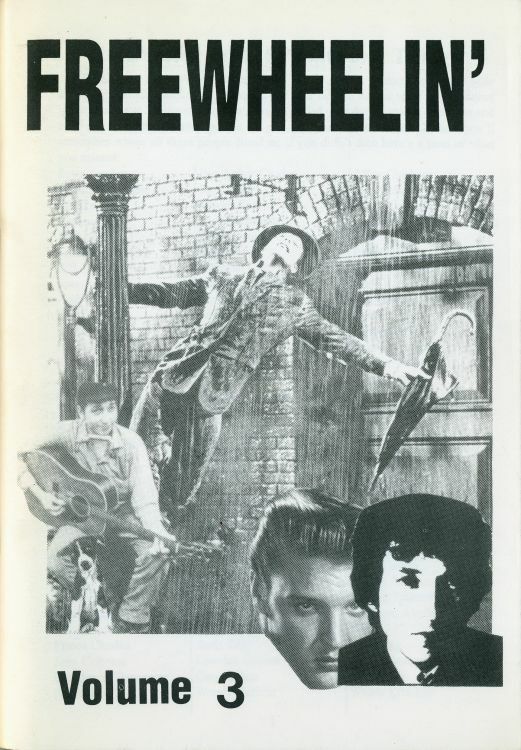 John Nye was the editor: "After 11 years of private circulating, for reasons that I could not attempt to explain, FREEWHEELIN' became available to the public as a fanzine in 1996". 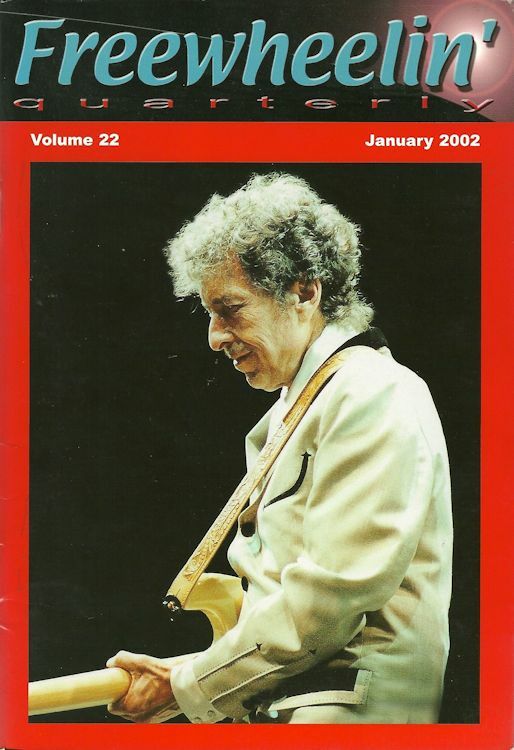 There were 22 issues, from 1996 to 2002, A5 size. 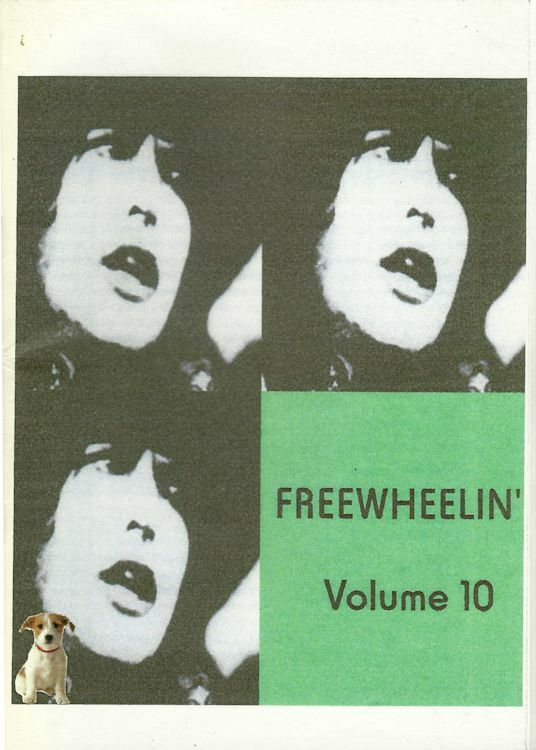 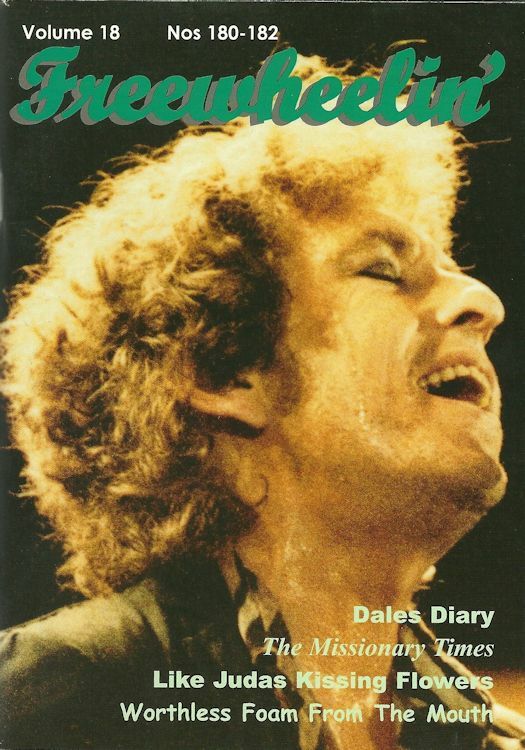 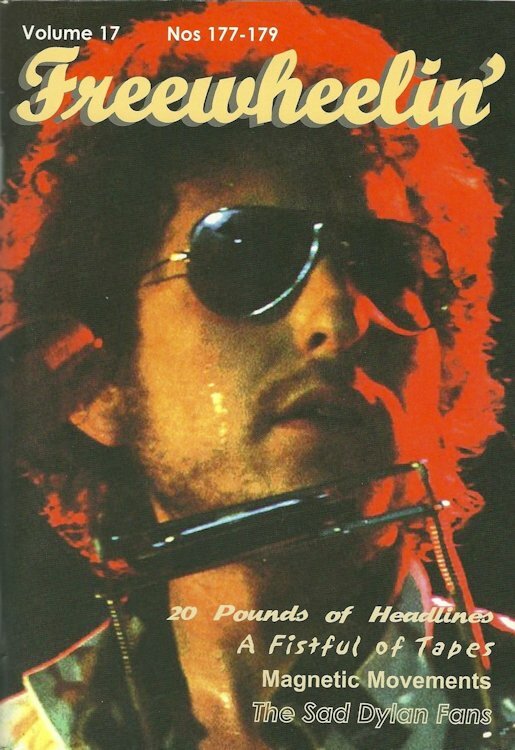 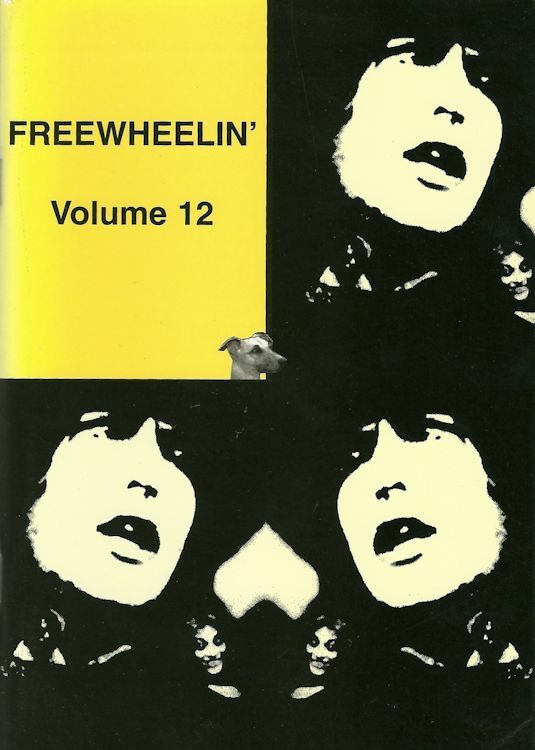 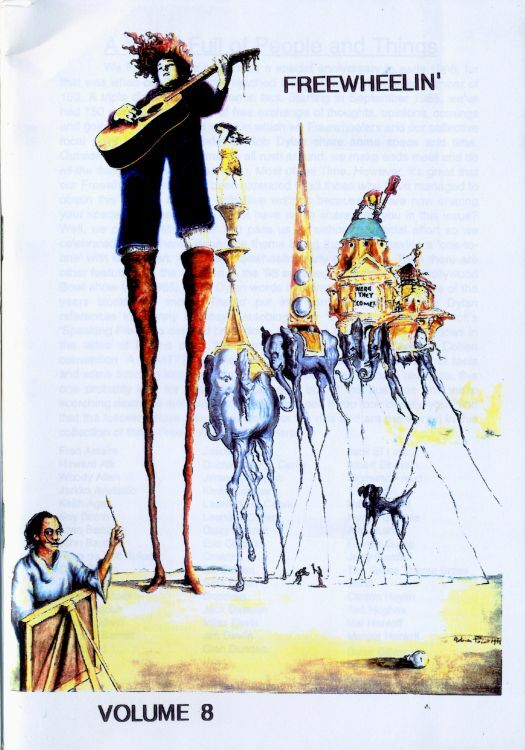 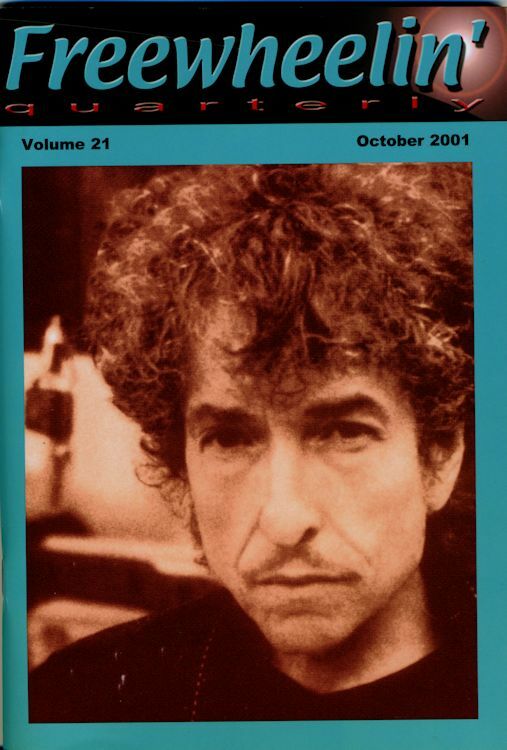 In 2001 for Volume 21, the name changed to FREEWHEELIN' QUARTERLY, with a new layout and size, but that was close to the end: the last published edition was Vol 22 in January 2002. 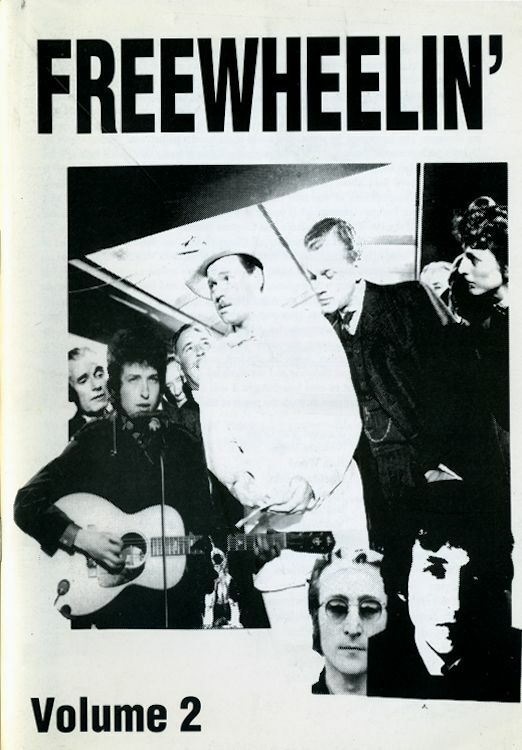 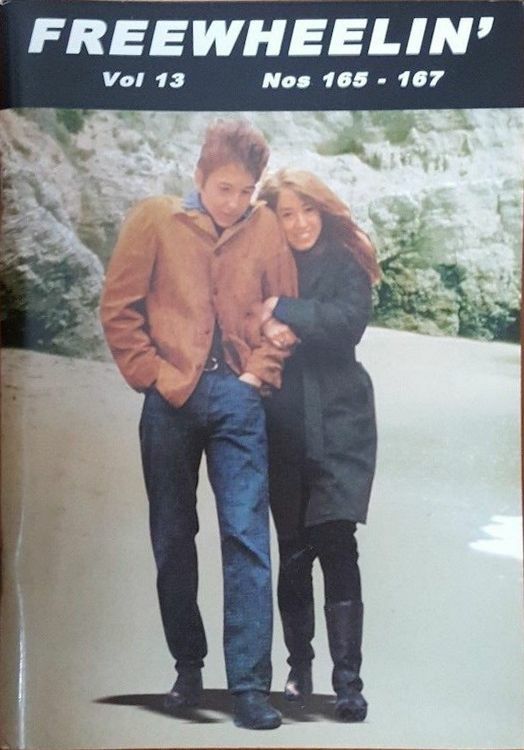 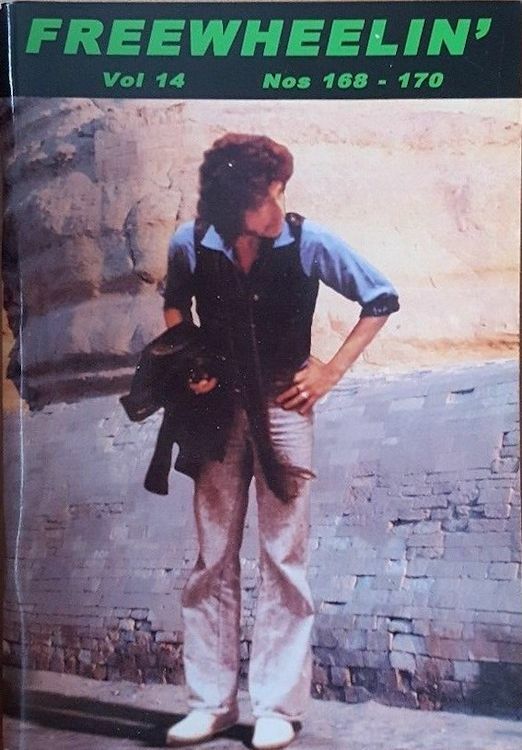 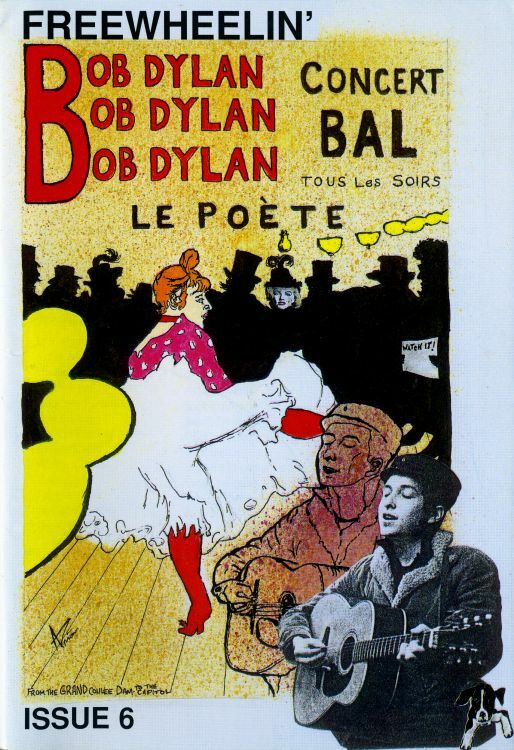 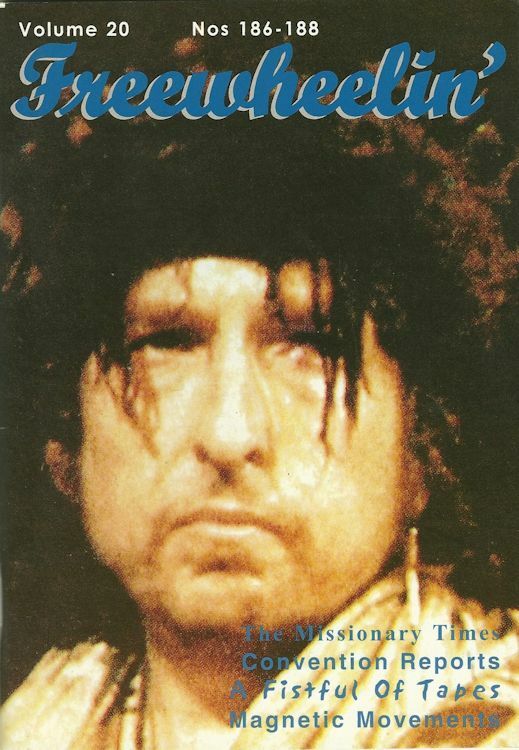 "The legends of those great artists prevailed into the 21st century and so it was that the legend of the public FREEWHEELIN' lived on in cyber space, for in 2002 Freewheelin' was launched as the first Bob Dylan magazine on the Internet. 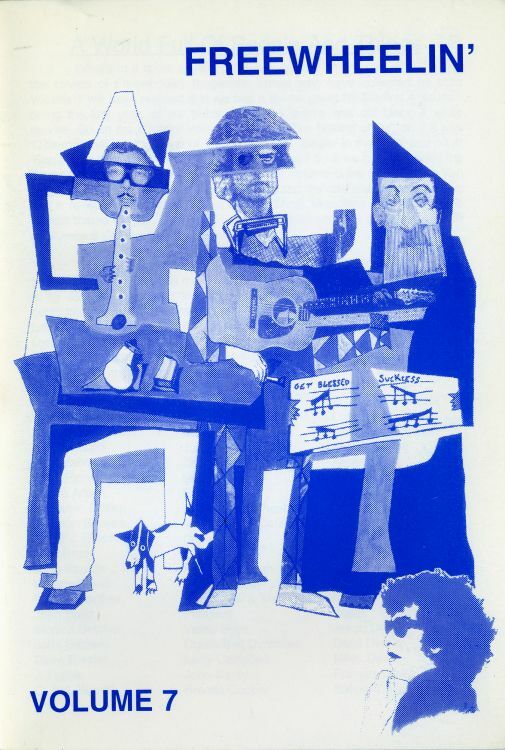 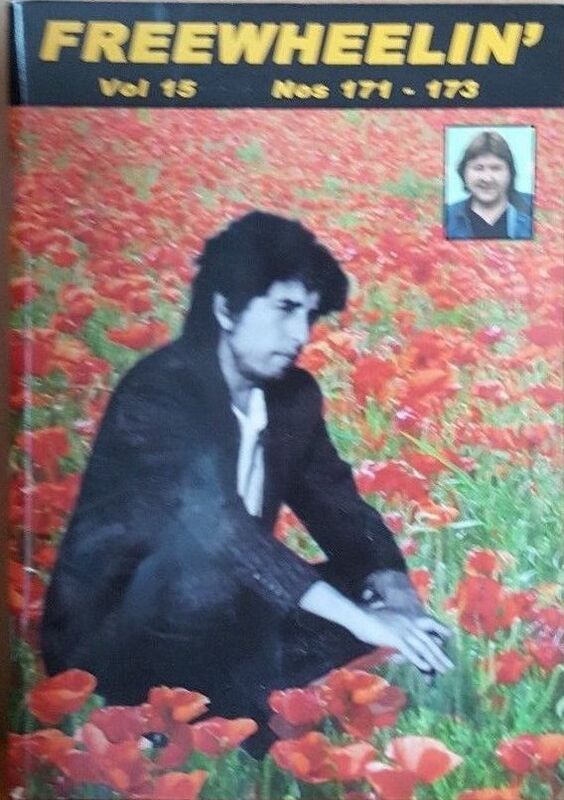 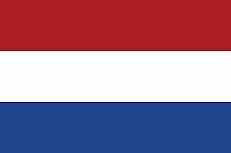 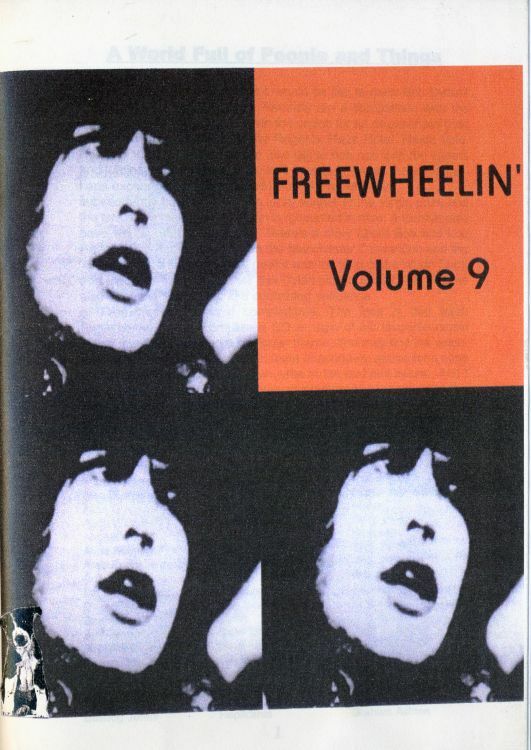 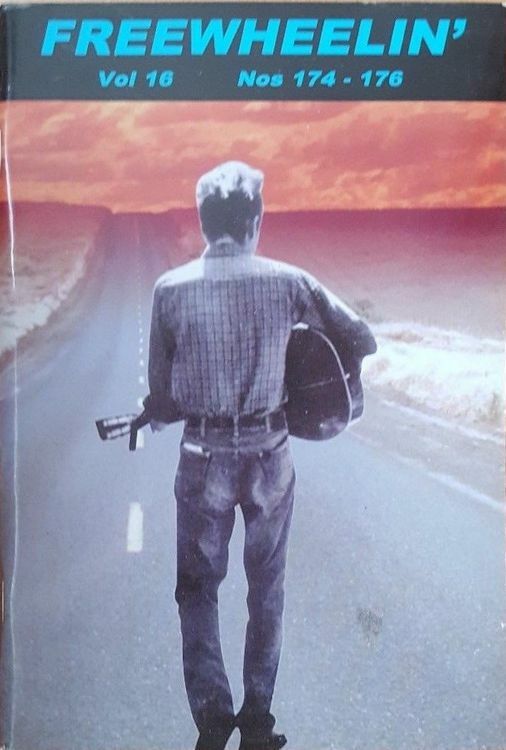 The project was named �freewheelin-on-line� and on the 24th May 2002 issue number 199 of the Freewheelin' journal was placed into an Internet bookshop for viewing and downloading on subscription". 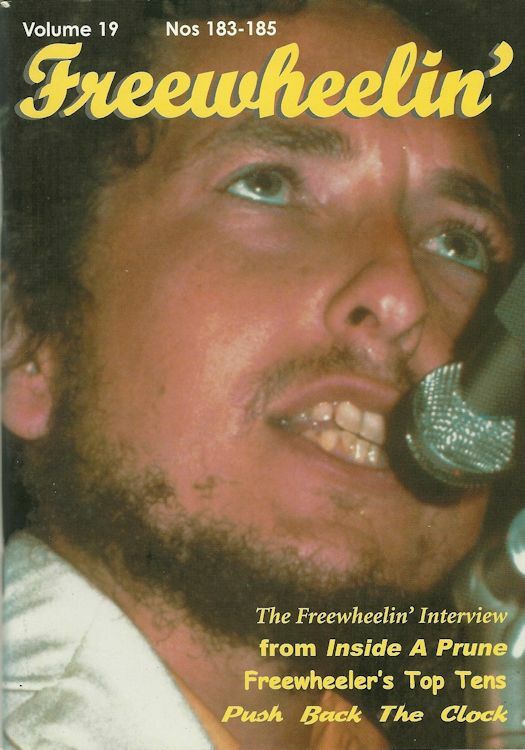 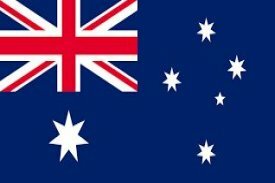 freewheelin-on-line has now also been stopped, but its editor, John Nye, has included an archive of all the online editions on his website, where all issues (#1 to #38) can be read. 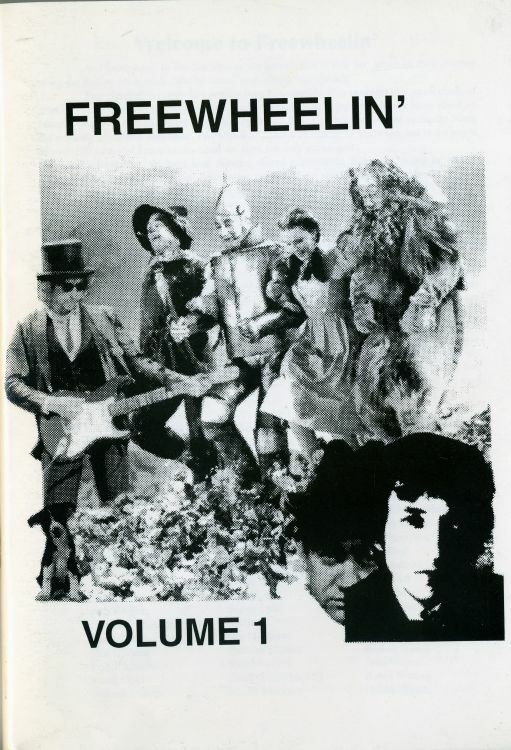 A US fanzine with the same name is mentioned by Fast Flyin' Train... (198?-1991). 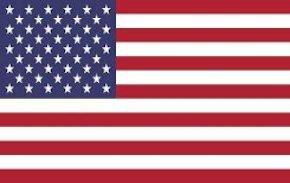 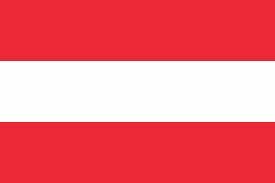 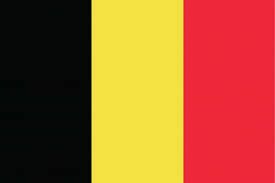 Nothing is known about it.